8 bass with 1 stop to remove the third from the chords. One of the instant classics of our range. 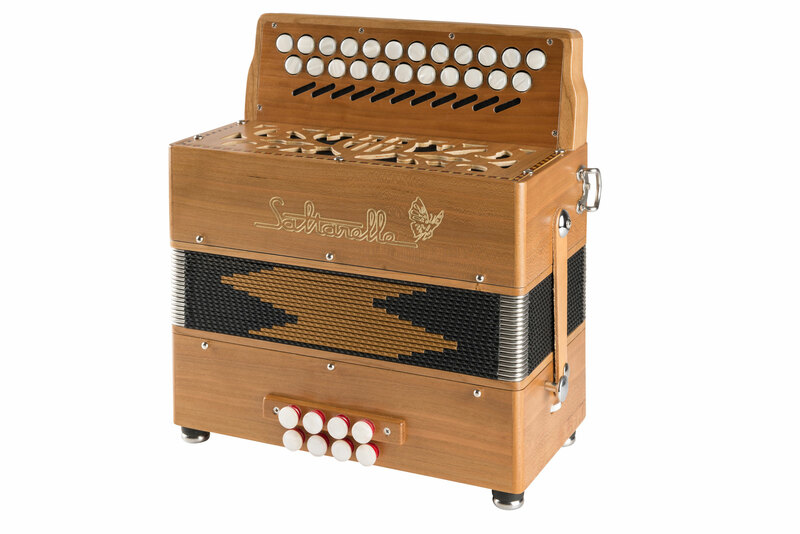 This small 2 voice accordion designed for Irish music is a good fit for beginners and casual players looking for a light and small accordion easy to handle. 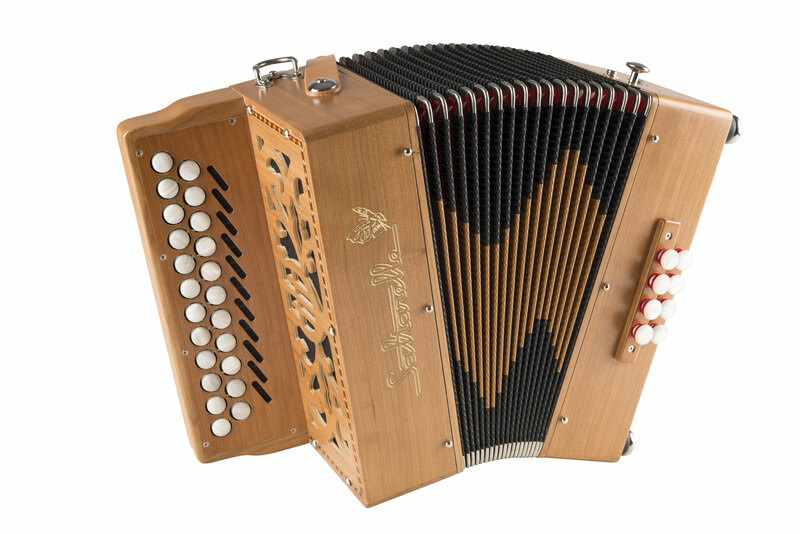 The name Bouëbe comes from a local dialect in the Swiss Alps. A "Bouëbe" is a young sheperd such as the grand father of today's Saltarelle's boss was quite a long time ago.